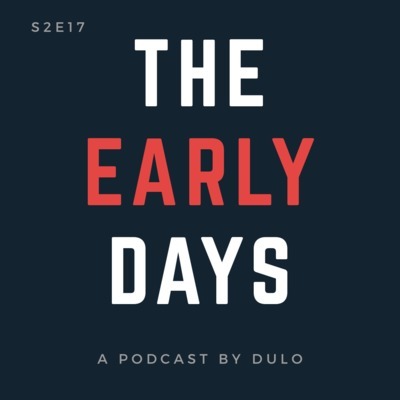 Welcome to The Early Days Podcast - a show about the hustle, the excitement, the doubts, the successes, the failures, the ups and downs of building a business from scratch. We interview fellow entrepreneurs about their experience of starting businesses. As we are building our own apparel company and documenting our early days, we wanted to go behind the scenes with other entrepreneurs and find out what their early days, weeks, months, and years were like. Time to wrap up Season 2 of our podcast! 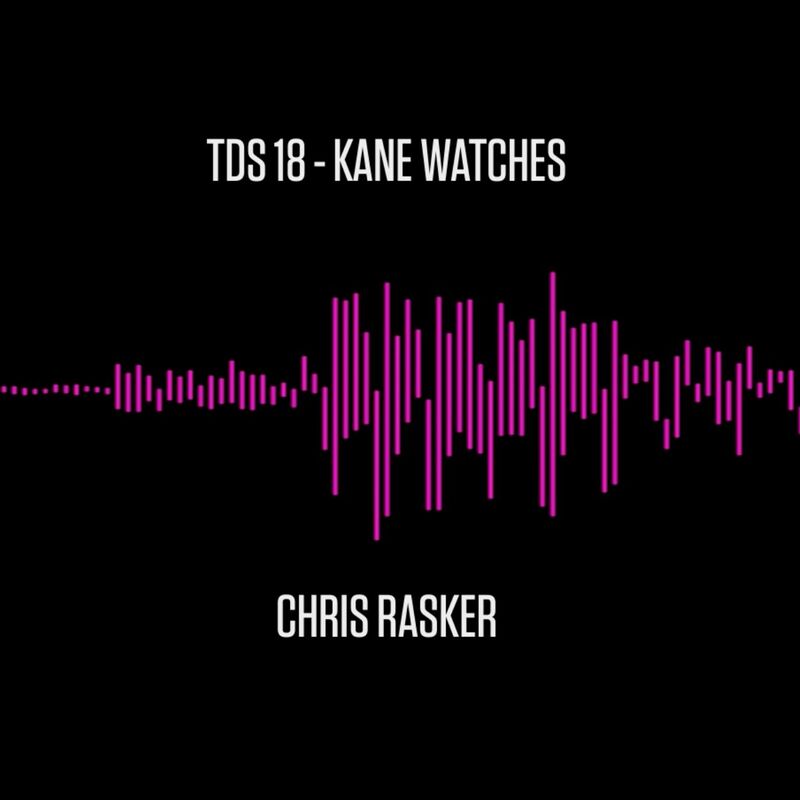 We took the opportunity to have our 30th episode as the last of the year and the season. On this season finale, it's just us the founders (Julian and Marin) and we had a very informal conversation about the past year, the constantly evolving DULO brand, finding our purpose and how there are slight differences for each founder, as well as our plans for the next 12 months. Thank you to everyone listening! We really appreciate your time and attention. We hope you find value in the content we put out on this platform! 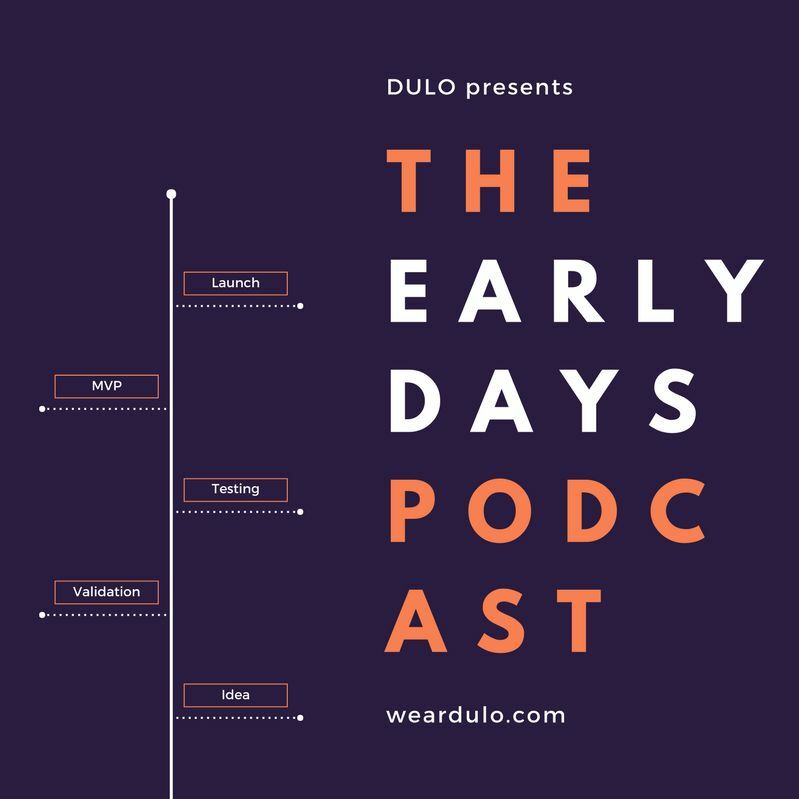 If you have suggestions on how to make it better or you have requests for topics you'd like to hear more of, drop us a line on social @weardulo. Until 2019! 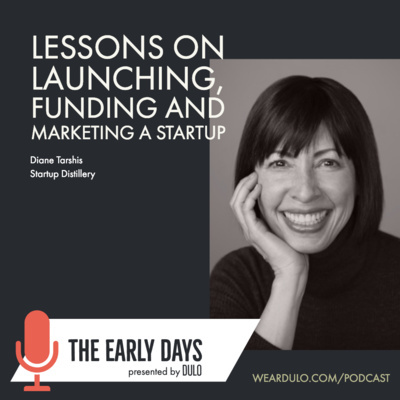 On today's show, we talk to Pat Walls, Founder of Starter Story - a digital hub where successful entrepreneurs share their experience of how they built a business. 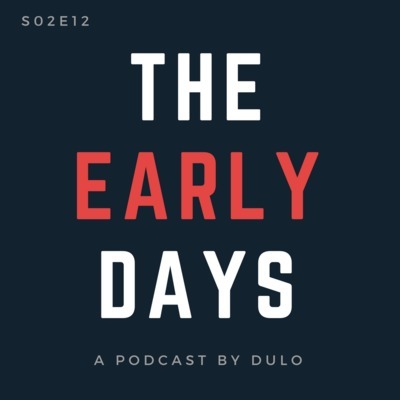 In fact, we first connected with Pat when we were asked to share the DULO story earlier in the year. The stories on the platform are inspiring and also provide specific advice and insight that help others get started. 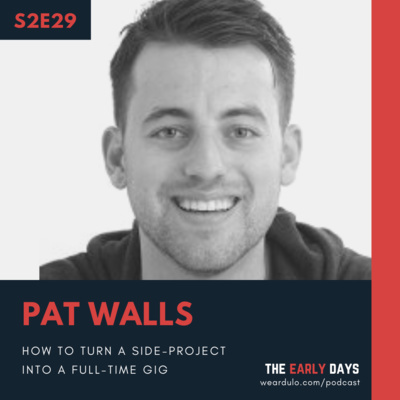 In our conversation, we talked about how Pat started Starter Story as a side-project which he eventually built into a full-time sustainable business. We also got into the details of how he approaches collecting interviews, his thoughts about content planning, frequency and much more. Make sure you check out Starter Story at starterstory.com and read some of the interviews by fellow entrepreneurs. Say "hi" to Pat as well on Twitter (@thepatwalls) and follow his entrepreneurial journey! On today's episode, we have Jackie Fast - founder of Slingshot Sponsorship, REBEL Pi, and a participant on The Apprentice. Her first business – Slingshot Sponsorship – was started in her bedroom in 2010 with just a laptop and £2,000. Six years later, Jackie sold Slingshot for millions, having worked with notable international clients including Sir Richard Branson, the Rolling Stones, Shell, Red Bull and many more. Jackie is now the founder of REBEL Pi, an ice wine brand. Relatively unknown, ice wine production is the rarest and riskiest in the world. With this exceptional product and brand, Jackie is slowly conquering the world and is also a participant on The Apprentice! If that was not enough, Jackie is also a best-selling author with her book PINPOINT. 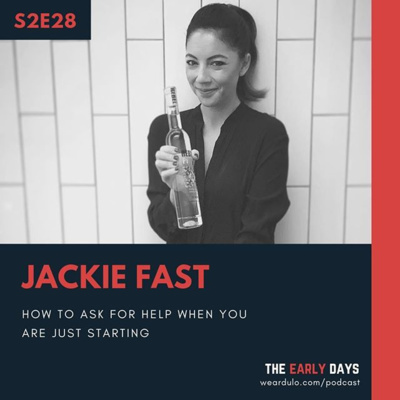 In our conversation, we touched on the early days of Jackie's career as a founder of Slingshot, how she exited the business, took time off to decide what to do next, how she started REBEL Pi and her experience on The Apprentice. We also talk about the importance of asking for help, how to do sales, branding, and distribution, and much, much more. If you like this episode, please subscribe, rate us, and spread the word with your friends and colleagues! Together, we can inspire the next generation of entrepreneurs! 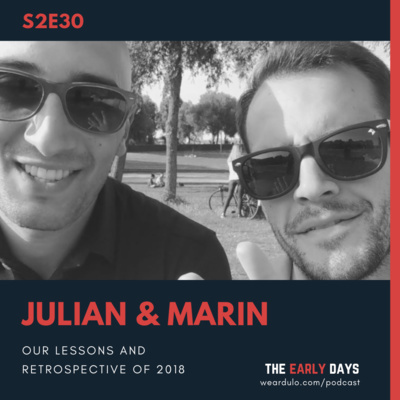 On this episode, Marin and Julian (the DULO founders themselves) sit down and share their top lessons learned over the course of the past year. 12 months is a lot of time when building a business and mistakes are a normal part of the journey. Got questions for us? We would be happy to answer them, and hopefully, help someone else who is building a business. If you like this episode, please subscribe, rate us, and spread the word with your friends and colleagues! Together, we can inspire the next generation of entrepreneurs! This episode is part two of our conversation with Shane and David from C2P Strain. We really hit it off the first time and found a lot of common ground. So, we decided to invite them again and continue the discussion around starting a business. 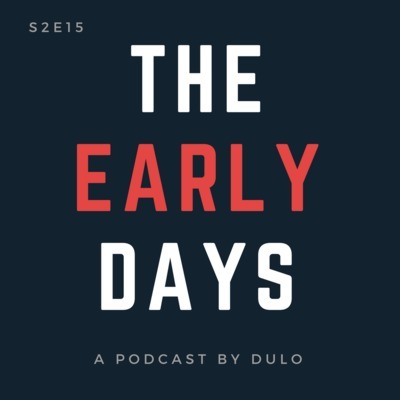 On this show, we went deeper into the specifics around how they started - mainly talking about the way they approached patents, how other entrepreneurs can take advantage of IP protection systems, and how to create initial demand and distribution channels for your product. Make sure you check out their business online on c2pstrain.com or say "Hi" on Facebook by looking for the C2P Strain page. Thank you for listening and if you enjoy this episode and find value, share it with a trusted friend or colleague. We would also appreciate your love and rating! On this episode, we talk to Shane and David from Can 2 Pan Strain. Can 2 Pan Strain was specifically developed to solve dry paint stains and debris and is the only solution for a no mess strain from the paint can directly into the painting pan. 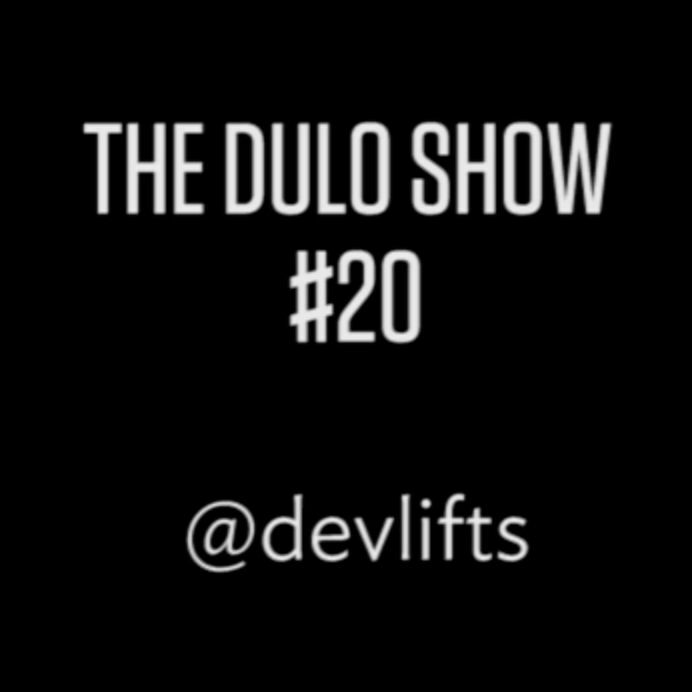 While talking to Shane and David we found out there is a lot of overlap to how they approach business and how we at DULO do things. Some of the topics we touch on in this conversation: - working with a co-founder - what triggered them to jump into entrepreneurship - building a business when balancing a full-time job - product development & manufacturing - collecting feedback early on in the process - marketing strategies Make sure you check out their business online on c2pstrain.com or say "Hi" on Facebook by looking for the C2P Strain page. On today's episode, we have David Michaels - senior vice president of the Daytime Emmy Awards at the National Academy of Television Arts and Sciences. David is a top producer with a successful track record in both live event and television production. He has been instrumental in facilitating the transition from a network to a digital-first broadcast of the Daytime Emmys. I was introduced to David by one of our former guests from last season - Kent Speakman, founder of KNEKT TV - and if you enjoy this episode, I highly recommend you check out the episode with Kent. 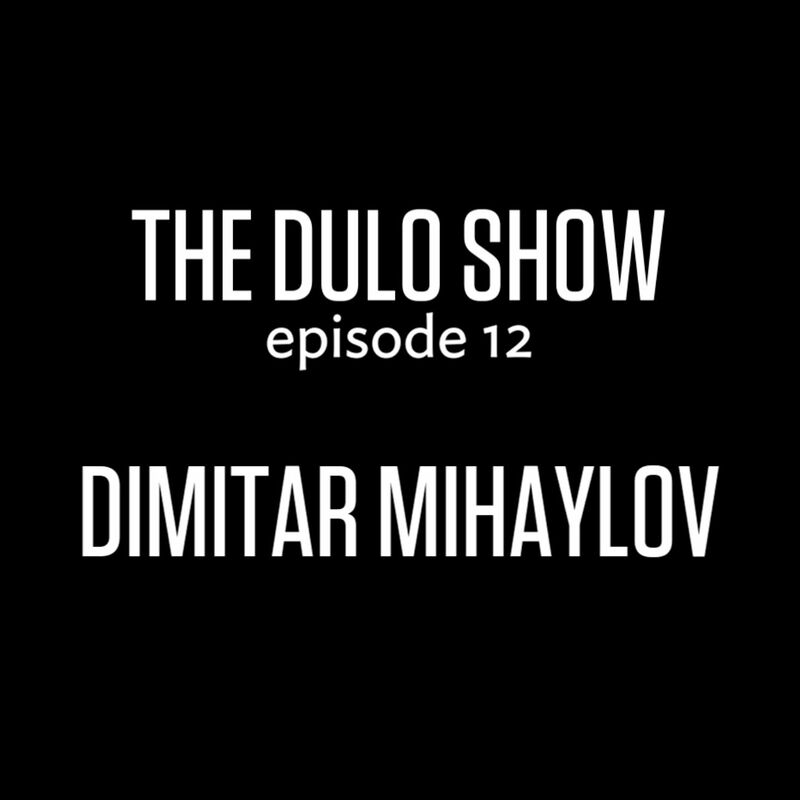 In this episode, we cover how David and the Academy think about new distribution channels, the benefits of avoiding traditional gatekeepers in content production, the effect of technology and social media on reaching a broader audience worldwide, and much, much more. On today's episode, we have Dale Spoonmore from "From Seed To Spoon" - a platform that shows how you can grow your own organic produce economically, efficiently, and sustainably. Together with his family, Dale is the creator of the "From Seed To Spoon" mobile app, which is one of the top-rated apps in its own category! In our conversation with Dale we cover: - Creating a business out of a passion for gardening - Tools and systems for mental health to stay sane and fight depression - Transitioning from the idea stage to doing and building a business - How Dale taught himself how to build a successful mobile application (top in its category) If you want to learn more, head over to seedtospoon.net to learn more about Dale, the business he is growing, and to receive an abundance of great gardening tips! Search for the free app on the iOS and Google Play stores. This week, we had the pleasure of talking to Dr. Adam Moore - a mental health specialist, counselor, and an entrepreneur. Adam is a licensed marriage and family therapist and co-owner of Sela Health, which operates mental health counseling offices across the US. We had a wide-ranging conversation with Adam about how he and his wife are building a sustainable business, at a slow, comfortable pace. We dive deeper into that topic and discuss the advantages and thinking behind such a strategy. In addition, we explored the thinking behind adopting a strategy of engagement on Instagram and online as a means to build deep, lasting relationships with people. We also covered the journey Adam has been through while transitioning to full-time entrepreneurship - for a long time maintaining a balance between a full-time job and building the business. Our guest today is Vessy Tasheva - a career industry expert and talent scout at Enhancv. She also works as a career coach and writes regularly on her blog which you can find on vessytash.com. We had a blast talking to Vessy on topics around employment, entrepreneurship, career change, and being fulfilled with your work. Marin gives a preview of the vlog and is starting to write his Founder's Newsletter. Julian is excited about some new product ideas before a call with our manufacturer. Let us know what might be valuable to you for us to cover in these slogs ❤️ We appreciate and anticipate all questions! Our guest on the show this week is Ryan Carson. Ryan is the founder and CEO of Treehouse - an education platform that makes it easy to learn code and find a job in tech. Fun fact - both Julian and I are students of Treehouse and the work that Ryan has been doing over the years has greatly impacted our lives. During our conversation with Ryan we covered many topics around entrepreneurship, education, and having a purpose. Some of the things we discussed in depth include: being mission-driven, knowing your why, asking for help, documenting your life and journey, becoming better at sales, and the importance of equality and inclusion in education. On this episode, we have Hafeez and Chris who bring you "The Roommates" podcast - a late-night conversation taking you behind the scenes of "becoming" featuring all the people, conversations, and perspectives you’d experience on the way. 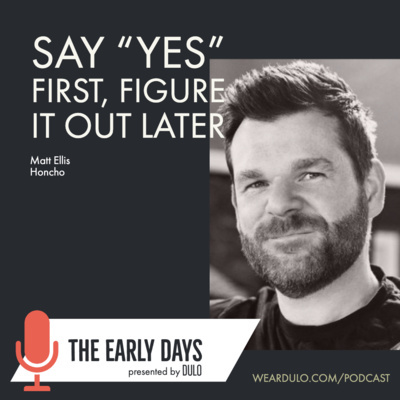 This episode is a great continuation of our previous chat with Kevin Horek on the topic of how to start a podcast. This time out, we focused more on the distribution side. We went deep with Hafeez and Chris to understand how they think about distribution, quality, and value-creation, plus much, much more Make sure you check out The Roommates podcast and if you want to say "Hi" to the guys, you can do so @roommateshtx on social. Thank you for listening and if you enjoy this episode and find value, share it with a trusted friend or colleague. We would also appreciate your love and rating! Being bootstrapped we need to squeezee out and repurpose all the content we can. In this case, some raw video content from our product shoot that will become nice creative ammunition we can use for portrait video formats such as Instagram, Facebook etc. Also, first dabbles with Alexa voice skills to learn that platform and spread this podcast on one more platform as well. 👉 weardulo.com for all your needs in life. Julian is in the move and Marin is covering the business operations. Always nice to have a teammate you can trust, so that the process keeps moving forward and things get done, without any bottleneck situations 👍 weardulo.com for all your entrepreneurial needs 👍 be it content, or sharp dress shirts. 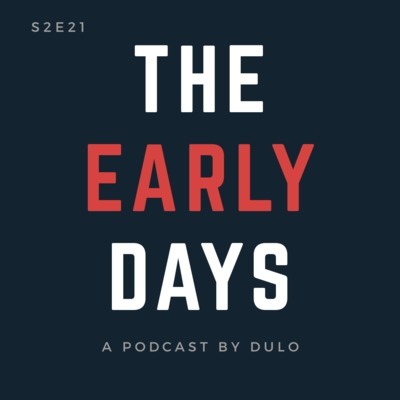 The Early Days Podcast S2E17 - Kevin Horek ﻿On this episode of the show, we talk with Kevin Horek - a radio and podcast host of the Building the Future Show. Kevin interviews startups, entrepreneurs, investors, and others helping to make our world a better place. With years of experience in the broadcasting world, we dug deep with Kevin on the topic of starting a podcast. 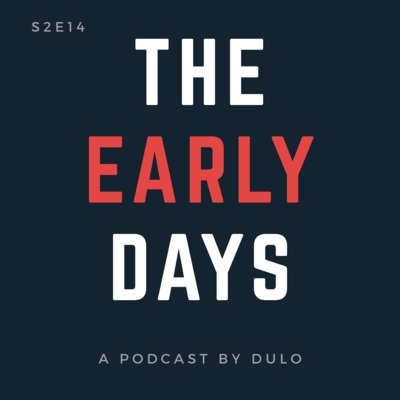 More and more people are turning their eye to podcasts and with the adoption and advancement of voice, it seems that the format will gain further in popularity. But how do you start? This is a question a lot of beginners face, we included. 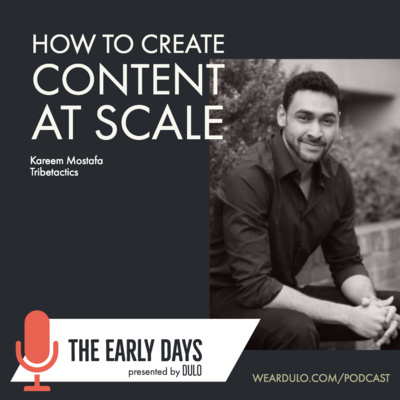 This conversation with Kevin presented the opportunity to dig deep and feed off of Kevin's experience and provide a starter's blueprint for podcasting. 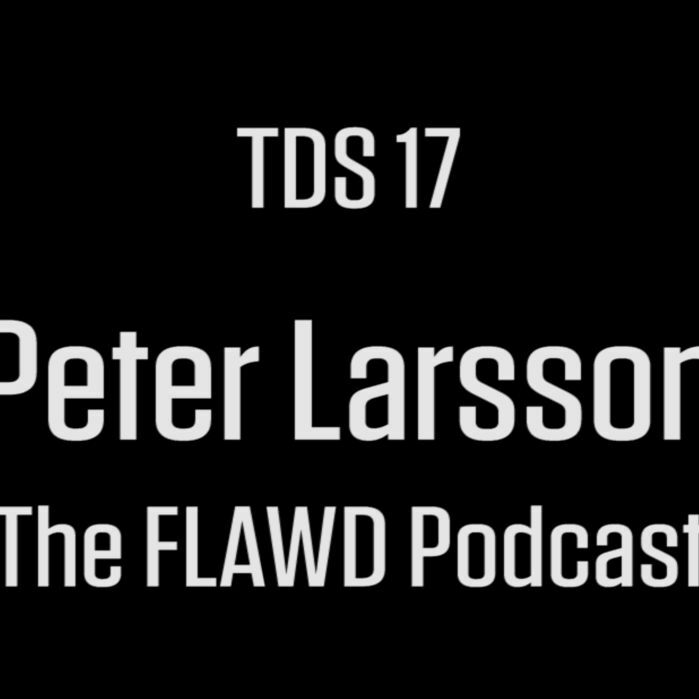 We discuss the hardware a starter podcaster needs to record, then proceed to software for the editing process, and wrap up with popular approaches of distribution. Entrepreneurship = Giving It's a pleasure to welcome back Ben Smith to the podcast! Ben, who was our guest earlier in the year, is an entrepreneur, currently exploring the voice tech/marketing space. He also is an advisor to other companies and entrepreneurs, helping them start and build profitable, sustainable businesses. This conversation ended up more like a brainstorming session where three friends discuss entrepreneurship. A lot of gold nuggets of entrepreneurial wisdom were spoken. We talk about how entrepreneurship perceived as giving is a great way to reframe the topic, how to encourage more people to start a business, what is the main barrier to start a business, and much, much more. If you want to learn more about Ben and his work, head over to bensmith.tv. Make sure you also check out the Voice Entrepreneur community on Facebook and say "Hi" to Ben and other entrepreneurs. Quite a busy week for both of us in our day jobs, so we had to delay some DULO work. Happens. It's part of the process and as long as we are moving in the right direction, slower speed at times is completely fine. Check out the new product photography at weardulo.com, if you're sick of wasting time ironing in the morning. Slog 25 - If you're a happy employee, great. If not, do something about it. Fundraising and Venture Capital for Startups Today's guest is Patrick Henry of QuestFusion. Patrick is a technology CEO and product positioning and marketing strategy expert. He helps entrepreneurs implement processes in their companies to more quickly and more efficiently grow their businesses. With over 2 decades of experience in the technology industry, Patrick has been a high-level executive to both startups and public companies. 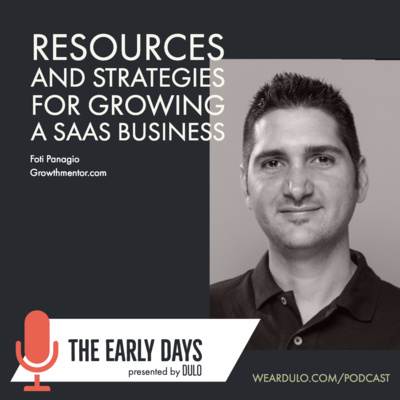 In our conversation, we cover Patrick's experience as an executive in the technology industry, how he started QuestFusion out of a need to give back, the challenges shared by both young and mature companies. 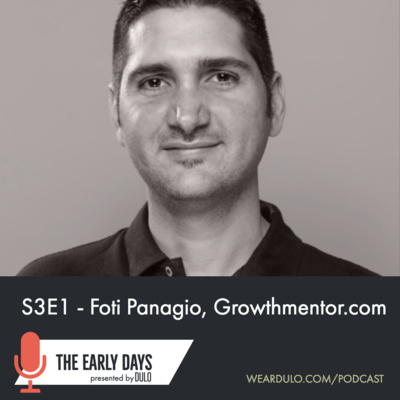 In the second part of our conversation, we go deep on the topic of fundraising and Patrick provides a ton of valuable advice about what to look for in an investor and when is a good time to search for external funding or to bootstrap a business. If you want to learn more, head over to questfusion.com. A 19 Year Old Building a Business Around His Passion Meet Anthony Mellor, founder of Absolute Fitness Apparel. 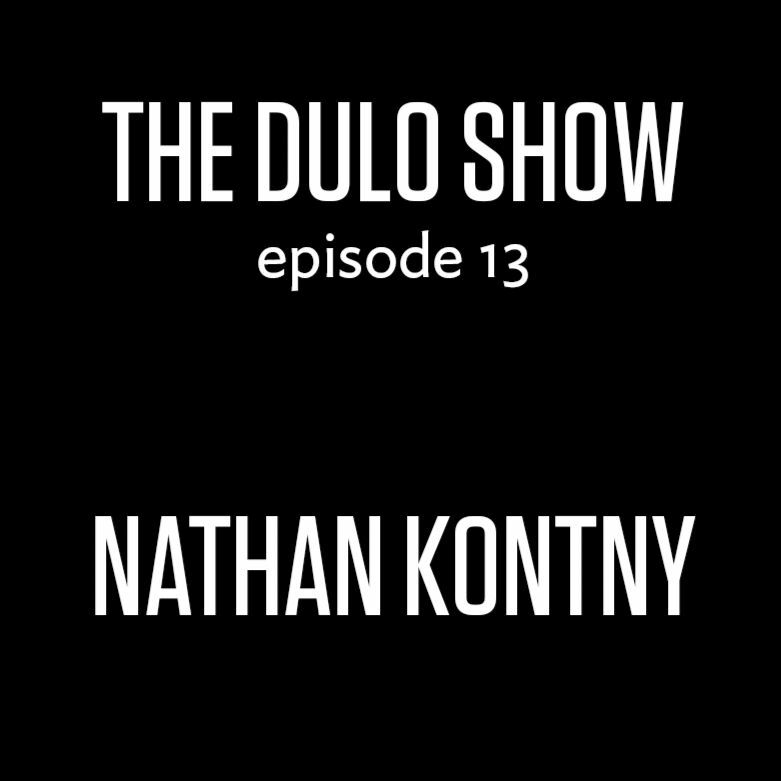 At just 19 years of age, Anthony decided to combine his passion for fitness and performance with entrepreneurship and start his own company. Today, with 1 year under his belt, he has accumulated a lot of valuable experience and lessons that could help others in their early startup journeys. 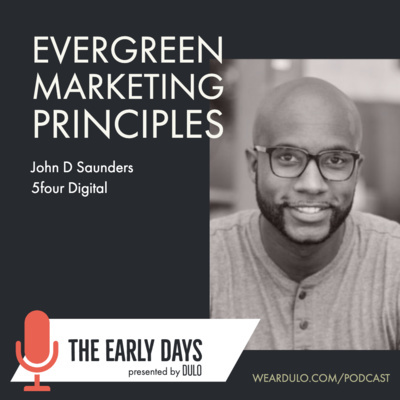 We go behind the scenes to see how Anthony approached sourcing, production, and early marketing strategies. 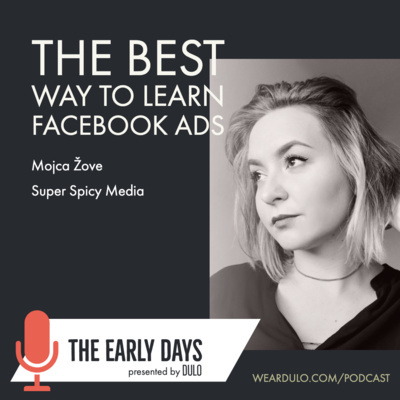 We also go deep on the topic of affiliate marketing as a strategy to drive brand awareness and sales in an industry that is oversaturated with other brands. Check out Absolute Fitness Apparel on absolutefitnessapparel.co.uk to see the range of products and get in touch with Anthony. If you enjoy this episode, we would appreciate your comment, share, like, thumbs up and what not - it helps us reach more people! On today's episode, we answer questions about our business. It's always fun to respond to questions from our community that hopefully, bring value to fellow makers. Future Voices: Alexa Skills and Voice Assistants In our latest episode, we host Ben Smith, a voice entrepreneur. Ben is the founder of Chancebending Ventures as well as bensmith.tv where he aims to educate others about the importance of voice and sound to businesses. Our conversation goes deep on this still relatively unknown topic and we cover many subjects and explanations. If you are considering to implement a voice strategy for your business, this episode will start you off on the journey. We explain what voice assistants are, how Amazon Alexa works, what are skills and other voice apps, how to approach those as a business, and much more. You can connect with Ben on Twitter @benjaminsmith or go to bensmith.tv to check out his daily voice updates! If you enjoy this episode, we would appreciate your support - tell your friends about it, share, subscribe and rate the podcast! We are Marin and Julian, founders of DULO - we make the non-iron dress shirt for entrepreneurs. The usual slogfest of an update, this time Marin calling in from Bulgaria, where he is in the midst of preparing our first proper (more than 80 euro investment) product shoot. Give it a listen, share, rate and subscribe, your support means the world to us! Check out weardulo.com if you are in need of a next gen dress shirt 👔. On this episode, we share our first impression as full-time content creators. We go over the decision to start executing and share with the world about our project. If you want to hear more of our story, check out https://weardulo.com and subscribe for the podcast. On this episode we share some thoughts on being patient and how we dealt with a little delay along the way. There is no point in waiting and be frustrated when something doesn't play out as you expected. Instead, regroup and keep executing. Moving forward. 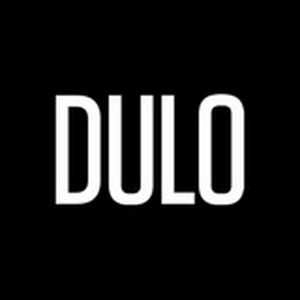 -- Follow along @weardulo on social or on our website https://weardulo.com where we regularly share updates of our process of building the business. We sit down with Mitch Fraker (@mitchfraker) - a great guy who builds a career as a personal trainer as well as a marketing consultant. We met Mitch on Instagram, hit it off quickly and decided to have a call and talk about his vision and ideas for his career. Connect with him on social, we highly reccommed it! 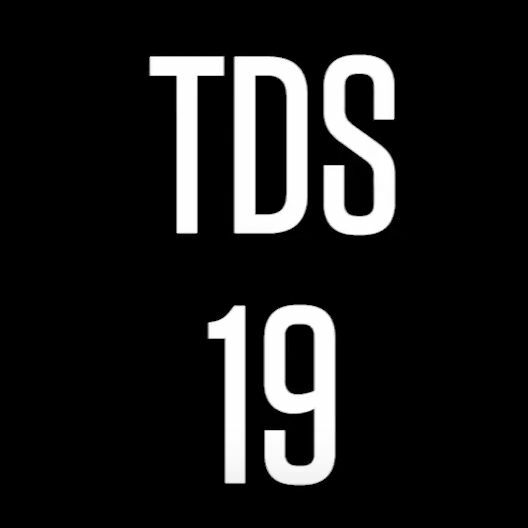 We are building an apparel business, documenting every step of the way. Visit weardulo.com to learn more! On this episode we met with Johnny Bunn of Redeemed Productions (redeemedproductions.com) who built a wedding photography business from $500 to several million dollar business. We connected with Johnny on Instagram, because we found a common interest in documenting our entrepreneurial journeys. We talk about that, business and how he makes important decisions. 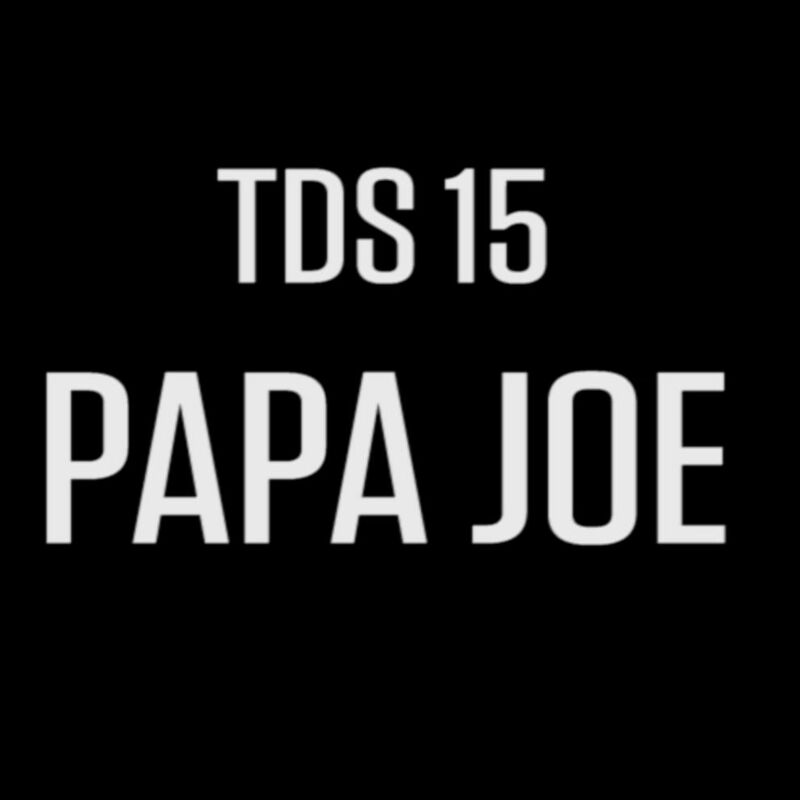 Hope you enjoy this episode. We had lots of fun recording it! -- We are building an apparel business and documenting every step of the way. 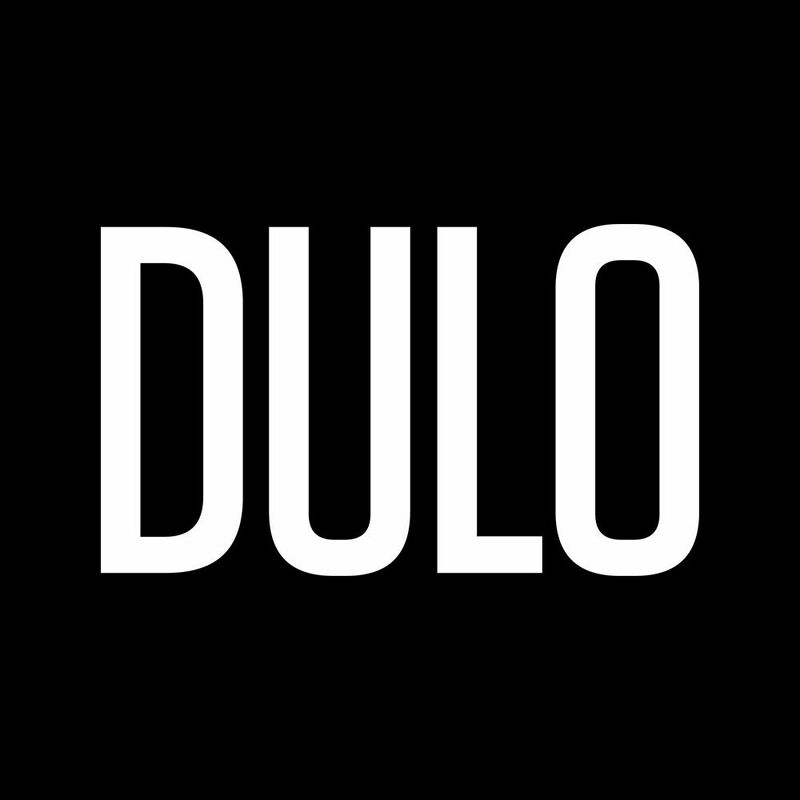 Follow our journey on https://weardulo.com. On this episode we are planning a trip to meet with potential sourcing and manufacturing partners. 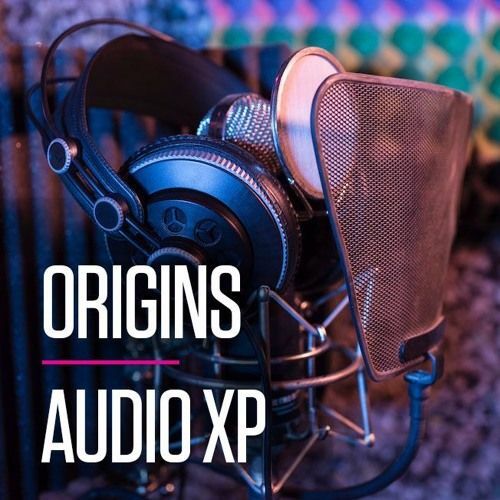 -- This is the Origins Audio Experience, produced by DULO. 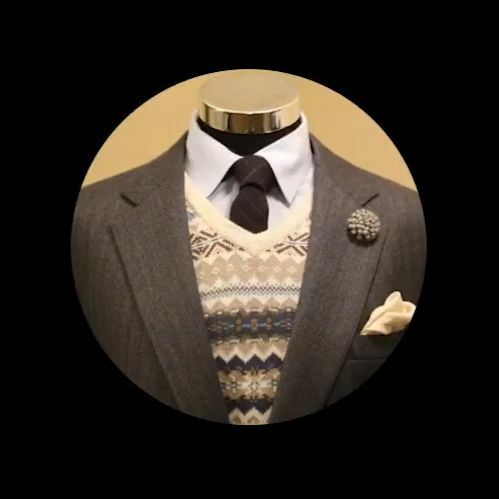 We are building an apparel business, documenting every step of the way. 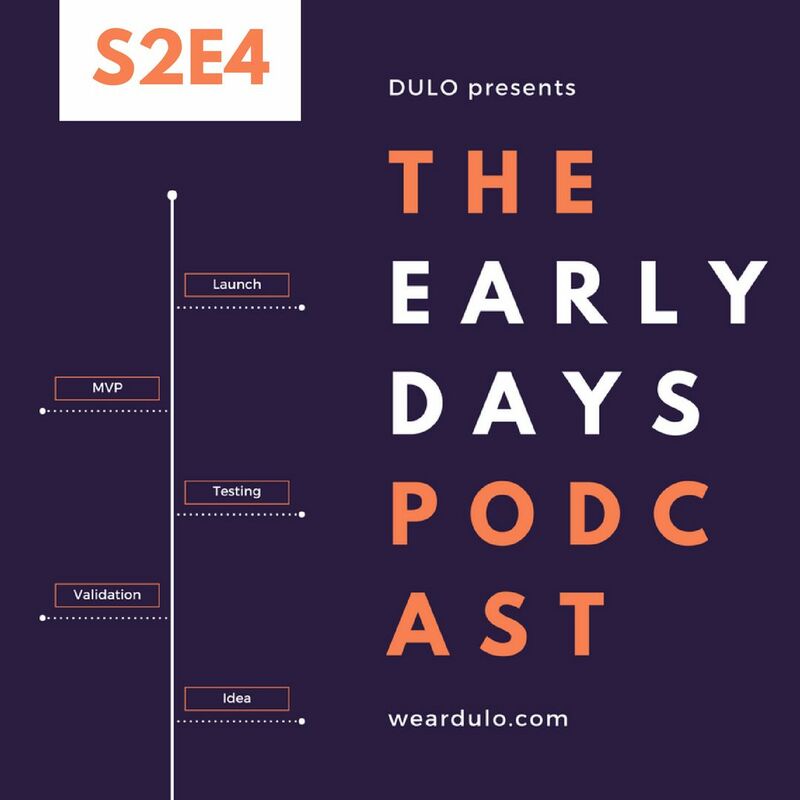 Visit weardulo.com to learn more! How do you optimise for energy? When you are building a business you need a lot of energy reserves to deal with all the issues and work that is part of the process. It is not always smooth or easy, so you need a good amount of energy. In this conversation with Marin, Julian and a guest (Boyan) we talk about the ways we optimise energy levels and we share some tips on the topic. 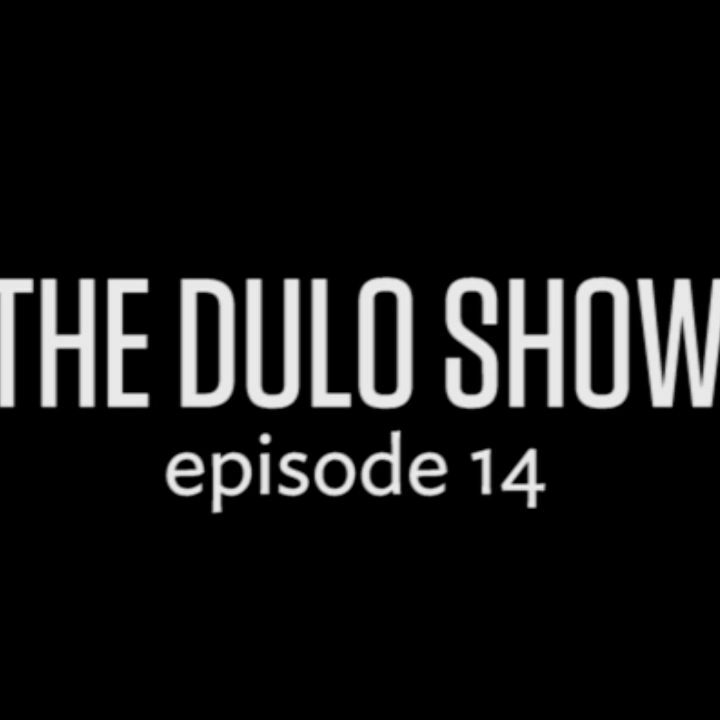 This is the very first episode of The DULO Show where we will answer questions not directly related to the business. If you enjoyed it and found it useful, we would appreciate your like and share! 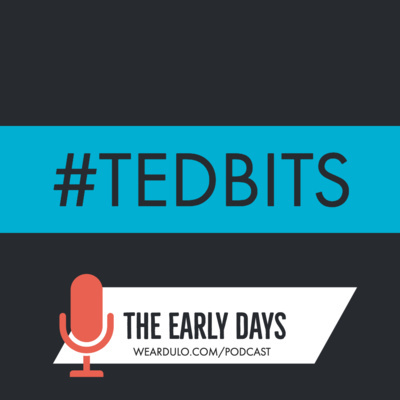 This is the first episode of our "Origins" podcast - an audio documentary about building an apparel business. 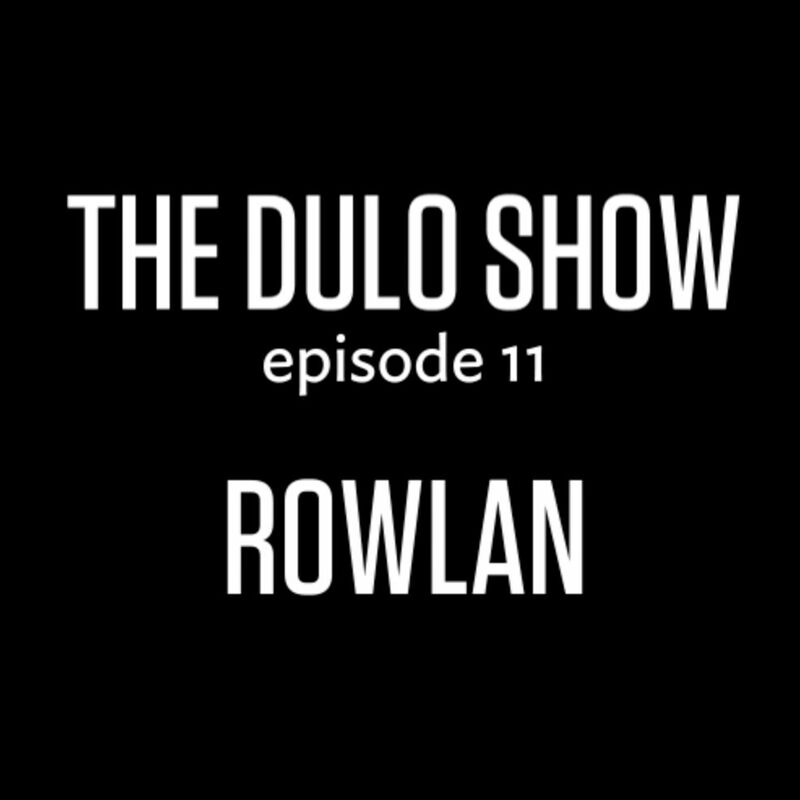 On this episode, Julian gives a very quick introduction into our worlds - the people, the product, the idea of DULO.